Symptoms of low progesterone can include: infertility, depression, anxiety, weight gain, breast tenderness, gall bladder disease, loss of libido, and mood swings. LifePro™ is a powerful female remedy that helps to naturally increase progesterone levels throughout the body and works to promote energetic balance and homeostasis of the female endocrine system, specifically progesterone. LifePro™ works to help regulate the menstrual cycle, decrease menstrual cramps, acne, headaches and anxiety, stabilize mood, and increase fertility. Symptoms of low progesterone can include: infertility, depression, anxiety, weight gain, breast tenderness, gall bladder disease, loss of libido, and mood swings. 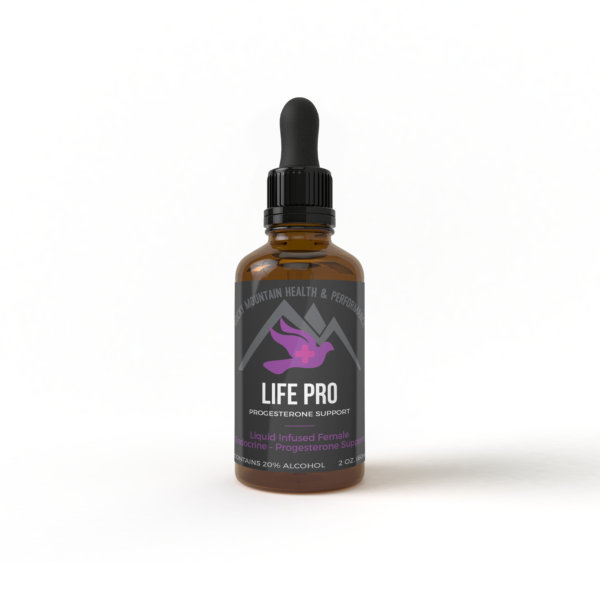 LifePro™ is a powerful female remedy that helps to naturally increase progesterone levels throughout the body and works to promote energetic balance and homeostasis of the female endocrine system, specifically progesterone. LifePro™ works to help regulate the menstrual cycle, decrease menstrual cramps, acne, headaches and anxiety, stabilize mood, and increase fertility. LifePro™ is available in a 24x high potency dose as well as a 3x low potency maintenance dose.